The Stockton TV Stand is the centerpiece of the Stockton Entertainment Center. Alone, it serves as an excellent place to display yout flat screen CD, LED or plasma TV in a living room or bedroom where space is at a premium. 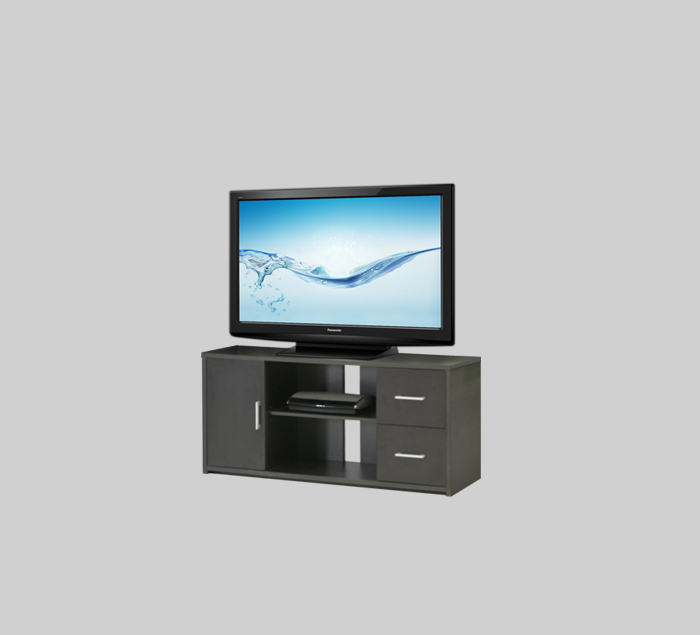 An elegant solution to display a 42 inch, 50 inch or most 55 inch televisions in a small room or space, the Stockton TV Stand features large front openings for components with an extra wide rear wiring slot to make installation of power cords and cables a breeze. The cabinet with adjustable interior shelf, plus two fully extendable 18" drawers make sure there is plenty of space for DVDs, media and more! Pictured in wenge finish, the Stockton is also available in other matte finishes to match any modern or transitional decor.